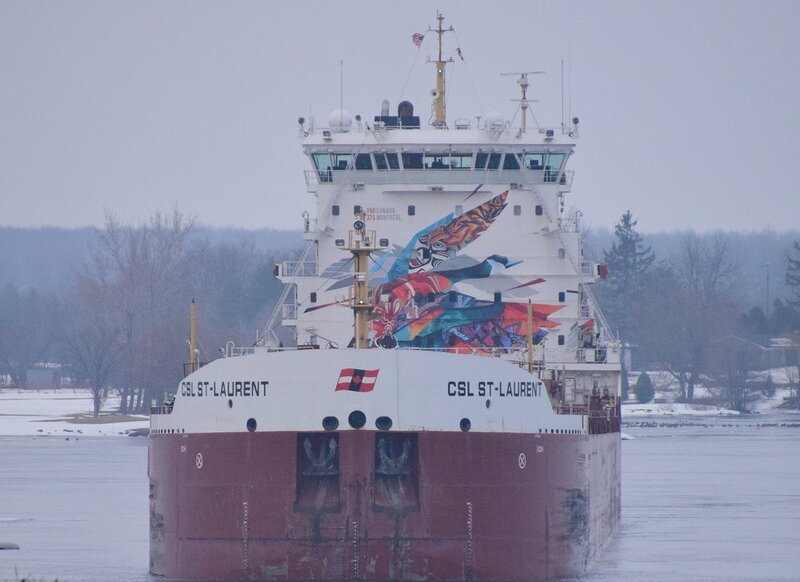 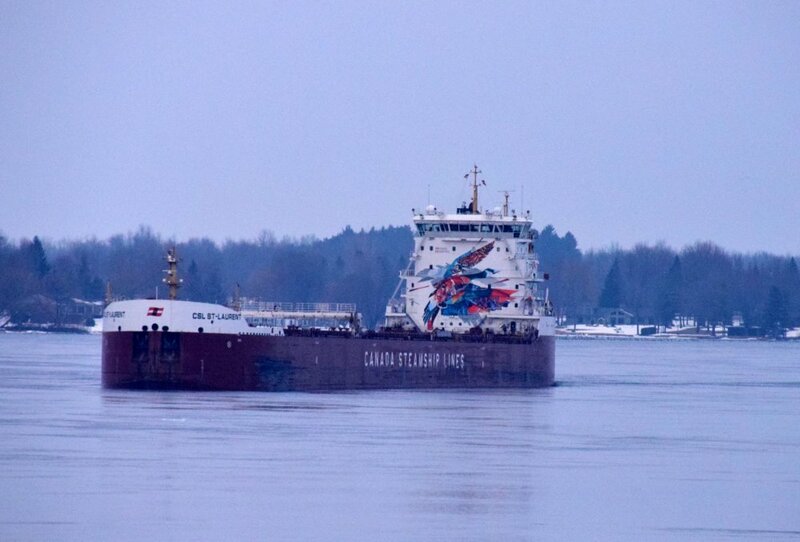 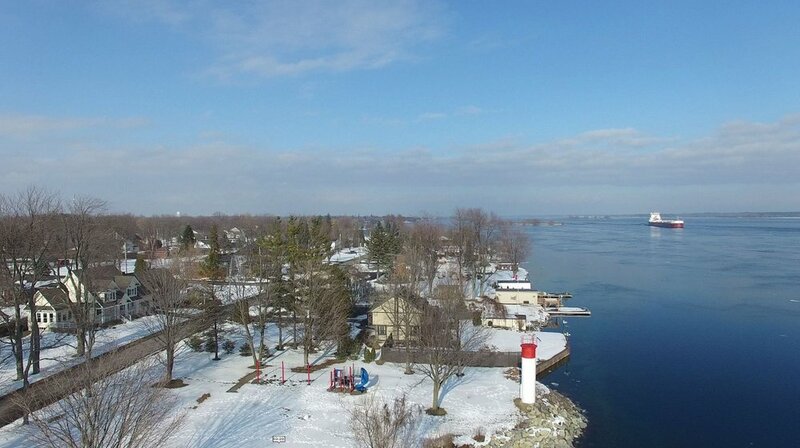 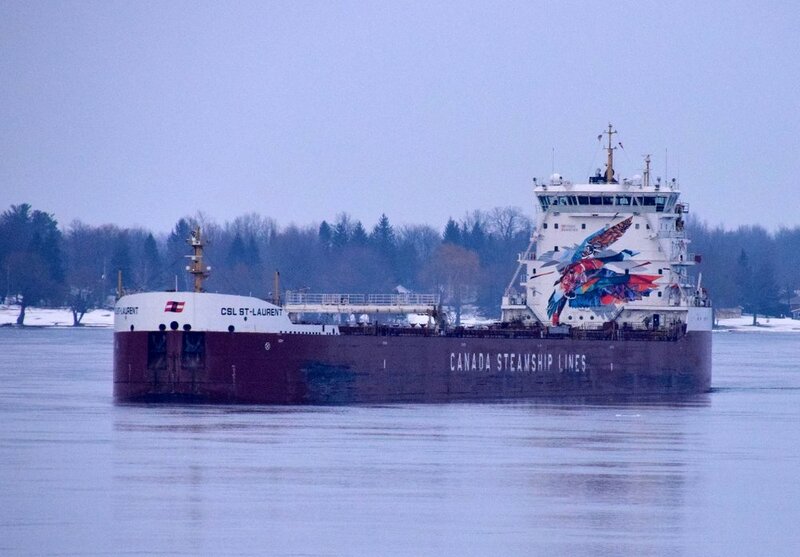 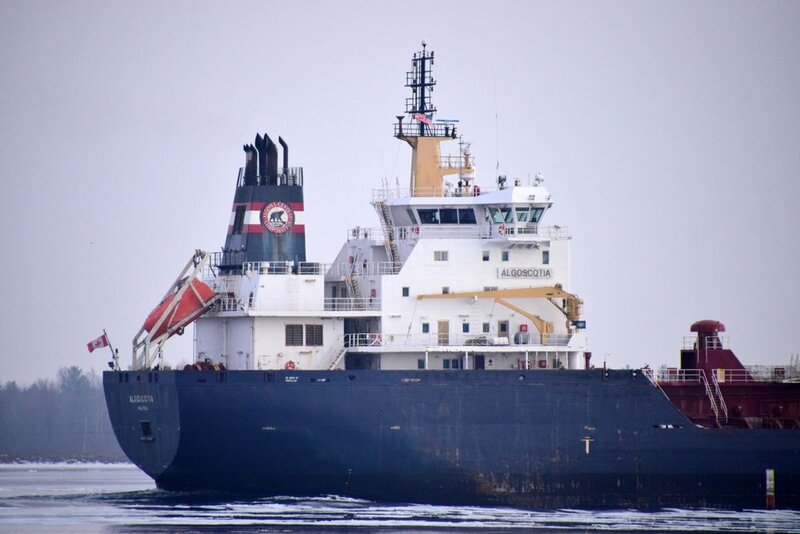 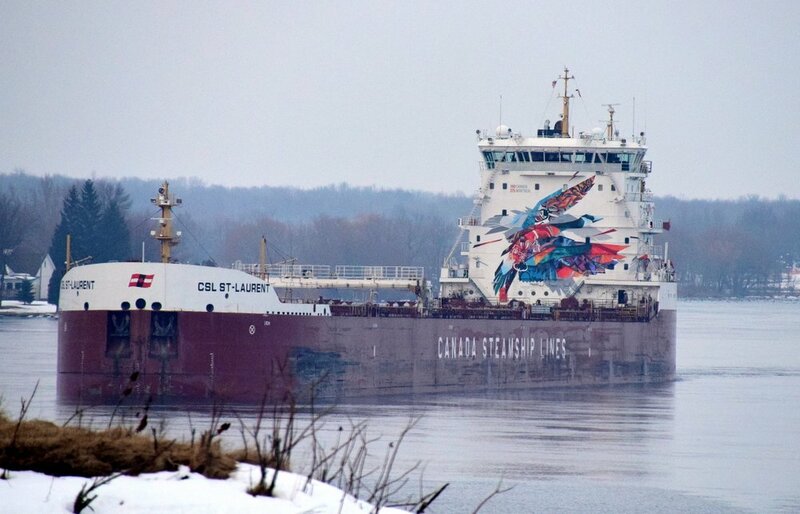 This is a Gallery of pictures and videos of the boats on the St. Lawrence River. 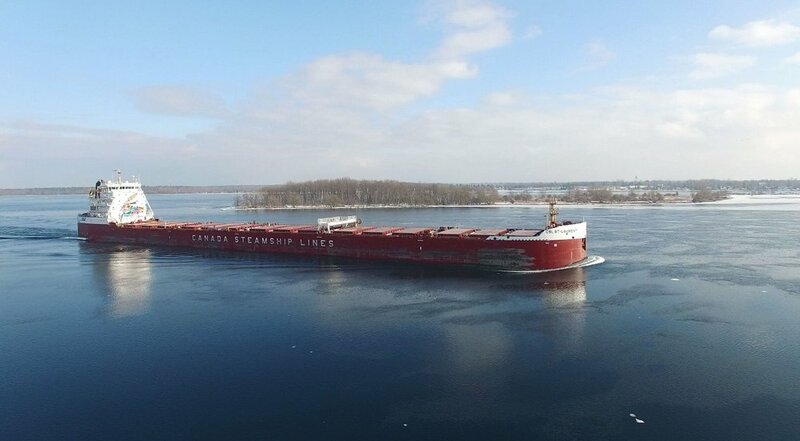 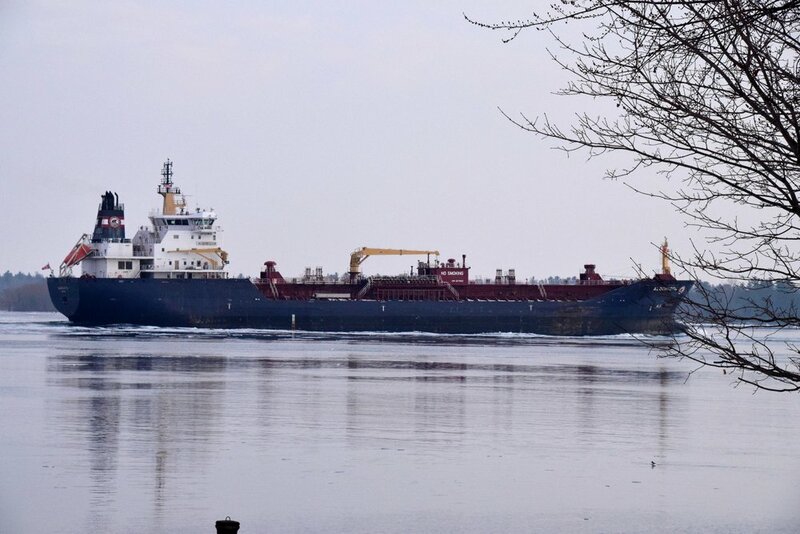 21 March, 2017 - The Canadian Flagged CSL St. Laurent Passes Mariatown just west of Morrisburg - First Ship of the 2017 Season. 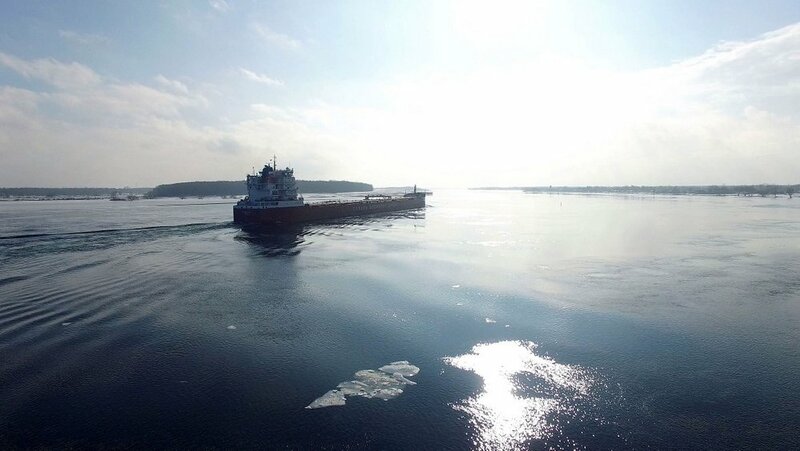 SC17031952: Approaching from the NE (downriver). 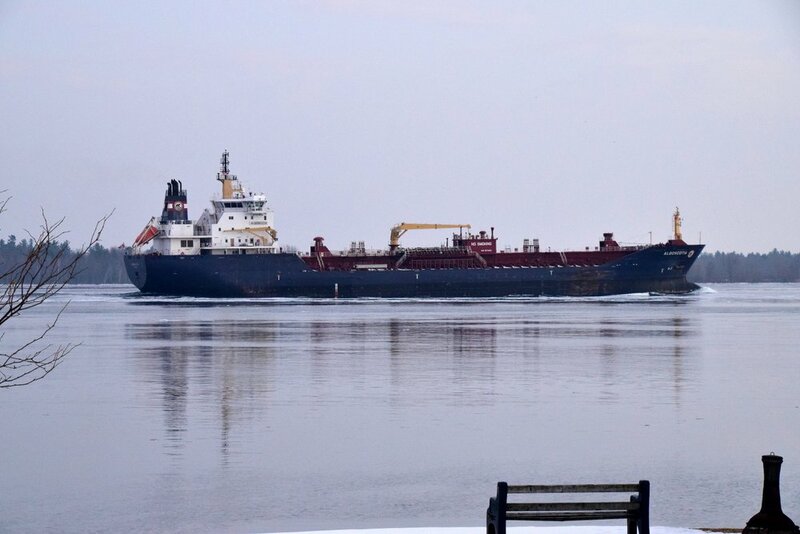 SC17031957: Passing Waddington, NY on the US Side. 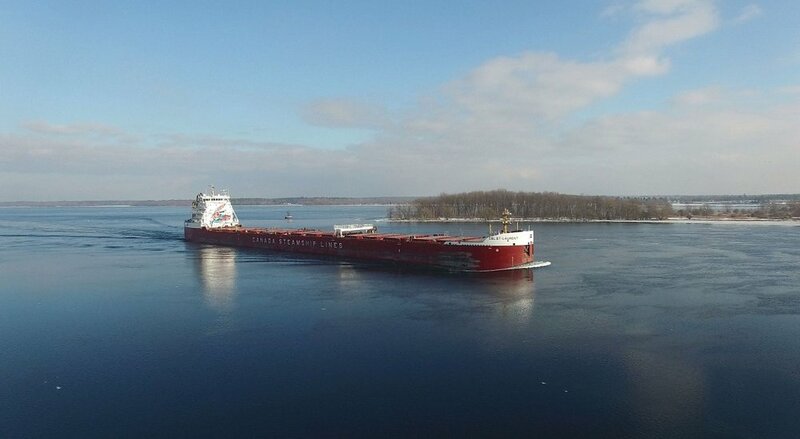 SC17031961: Heading, SW Upriver Towards the Iroquois Locks. 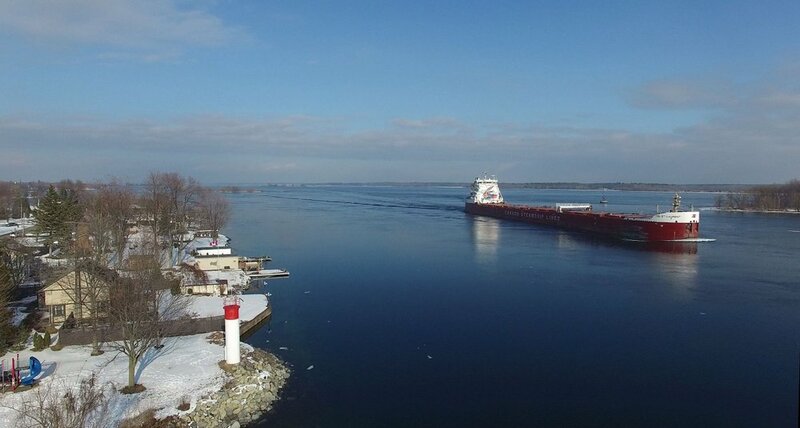 A Short Video of the Flight. 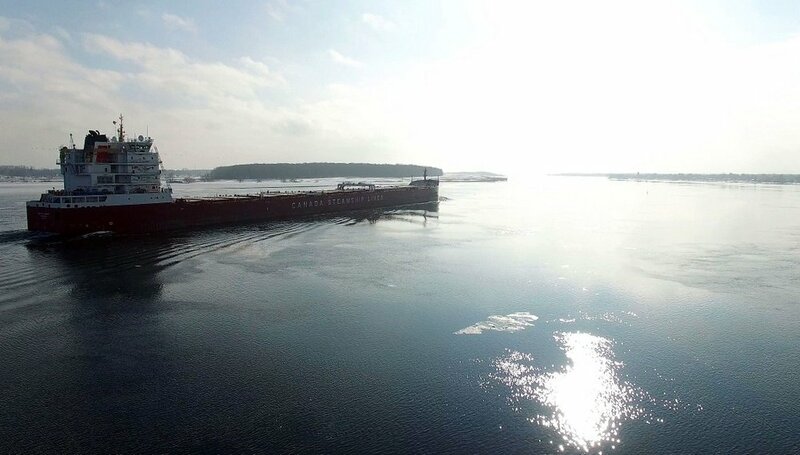 Arriving at the Iroquois Locks. 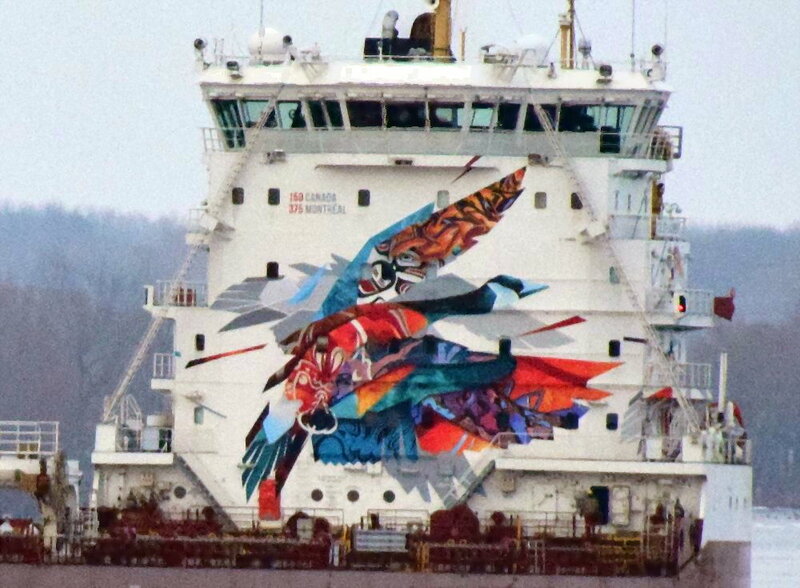 BO175981: Displaying the Canada 150 Celebration Mural. 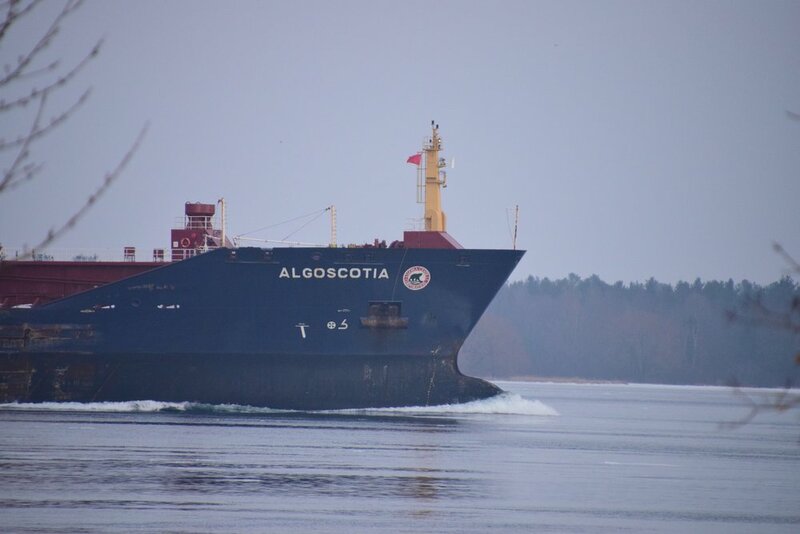 The Oil/Chemical Tanker Algoscotia Follows Just Behind the St-Laurent.